You are here: Home › Grow Your Own › Want to grow Figs? Yes you can! 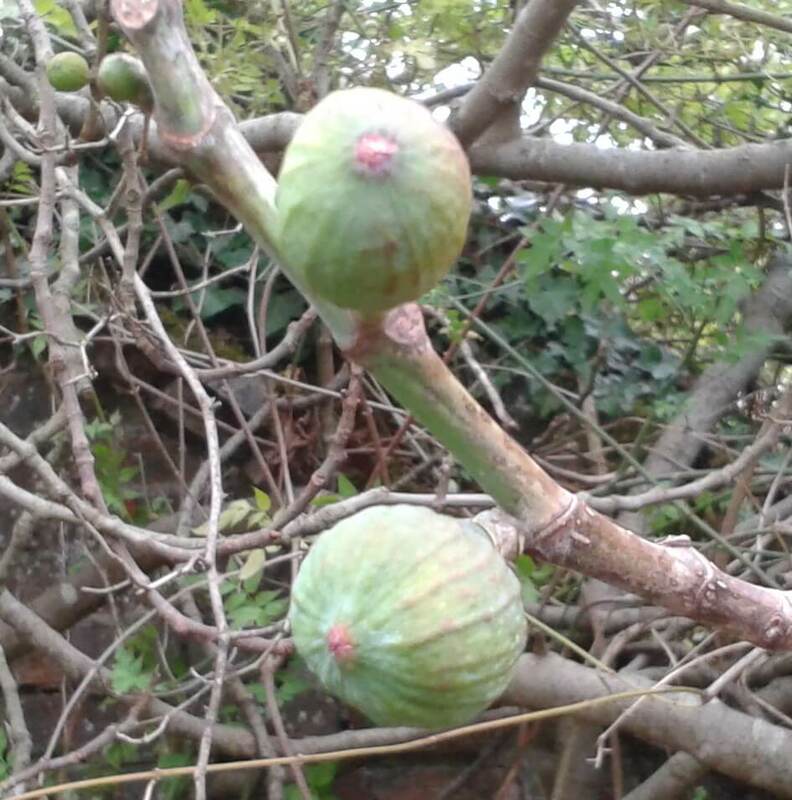 Want to grow Figs? Yes you can! • Comments Off on Want to grow Figs? Yes you can! Dried figs are a veritable Christmas treat whether eaten alone or offered to carol singers in ‘Figgy Pudding’. Personally I would rather be offered chocolate biscuits by satisfied customers when I go carol singing but there is no accounting for taste. Figs are not hard to grow in South East England as long as you have a sheltered spot with well-drained soil that catches plenty of sun in summer. Figs grow into spreading, multi stemmed trees if left alone and we usually want to restrict size in favour of fruit as we would with other tree fruits. Unlike apples, figs grow on their own roots so a dwarfing rootstock is not an option and you are left with being cruel to be kind and physically restrict root growth to control the size of the tree above ground. Plant in a large, robust container, sink a 60cm diameter concrete pipe into the ground as a bottomless container or choose a restricted site with plenty of drainage underneath. The fruit does not need to be fertilised and there may be three crops of figs on a tree at the same time. Lowest on the branch are this year’s main crop which swell and droop when ripe in summer; above them may be underdeveloped fruits that will remain on the tree through the winter and ripen next year. Finally at the branch tips will be tiny fruitlets that actually contain the flowers for next year. Figs can be grown as open trees or trained against a wall for protection. The most reliable cultivars to grow in the U.K. are Ficus carica ‘Brown Turkey’ and F.c. ‘Brunswick’. By the way, avoid getting fig sap on your skin – it can be an irritant so wear long gloves when pruning.